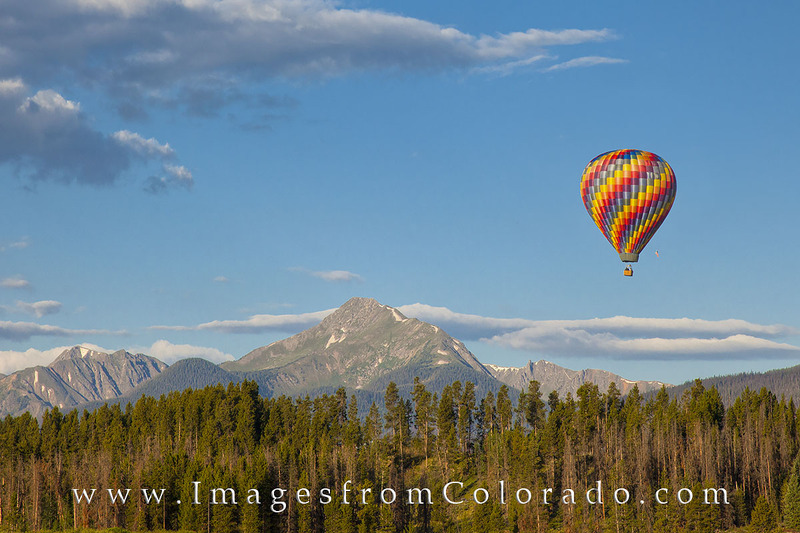 On a cold summer morning, a hot air baloon drifts over the pine trees near Fraser, Colorado. In the distance is the locally well known Byers Peak that rises 12,804'. The Fraser Valley provides miles and miles of hiking and biking trails, winter skiing, great fishing, and plenty of year-round activities. And you can ride a balloon and take in a bird's-eye view of all Grand County! Photo © copyright by Rob Greebon.